Rei means Universal and Ki means Life Force Energy. Reiki is thus a powerful and precise system of healing, both self and others, which enables the practitioner to access the Universal Life Force Energy and use it to heal at Physical, Mental, Emotional & Spiritual levels. 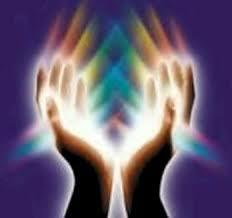 Reiki can be used to heal almost anything and everything that needs healing. It can be physical, mental, spiritual, emotional, past, present, and the future. Reiki can also be used to relieve stress, to overcome unwanted habits, to achieve desired goals, and to protect from harm. All living things will respond to Reiki, including plants and animals. Healing is related to getting to the root of a problem and restoring it to a normal state. Curing is what is done to remove the problem, which in certain cases needn’t be the cause of the problem. In case of medical conditions it is suggested that we do not stop our medications (if any), instead use healing as a complementary process to recover faster and more comfortably or at least reduce pain/problems involved in the process. While a guarantee cannot be given on the expected results, it primarily depends on the receiver of the healing, the receivers’ intent and the nature of the receivers’ problem. The healing experience is a different from person to person and the outcome also vary. In any case the Universal Life Force Energy chooses the best results. You relax, fully dressed, seated or lying down comfortably while the healer holds his/her hands on the region where the healing is needed or above you. A treatment can last from a few minutes to an hour or longer depending on the treatment required. Physical pressure is not applied on the body which makes it ideal for treating all ages and conditions. Healing can also be done without the use of hands in cases on non physical healing.